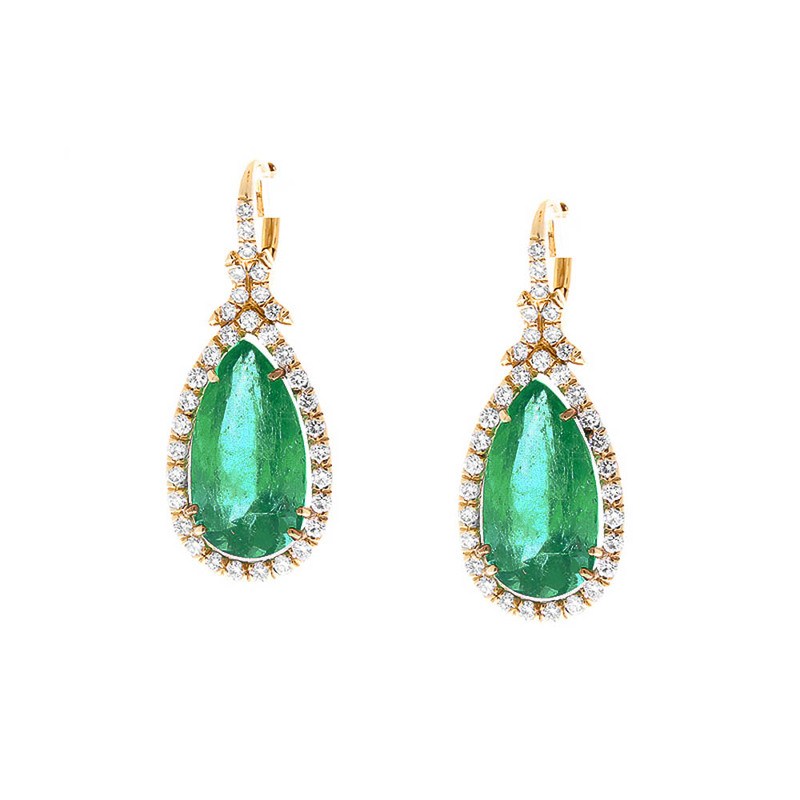 Two pear-shaped, PGS certified, Colombian emeralds are prong set in the center totaling 9.76 carats and exhibit a vivid yellowish-green color. The gem source is Colombia; its transparency and luster are excellent. Colombia produces the best emeralds in the world. 0.90 carats of round brilliant cut diamonds adorn these earrings in dazzling halo clusters and on the tops in a leaf motif, a color range of F-H and VVS2-SI1 clarity. Designed in brightly polished 18 K yellow gold, these alluring earrings are held on by gem-set lever backs and are accompanied by a PGS certification upon purchase.